It's truly amazing how far smartphone camera hardware has come in such a short period of time. It took roughly 5 years to advance the image processing capabilities from a pixelated mess to the crisp and clear photos we can take today. This reaches well beyond the megapixel spec race, since camera modules these days sport vastly improved optics, wider aperture, and even larger pixel sensors that capture more light. Truth be told, cameras are so powerful in the latest-generation flagship devices that "smartphone photography" is becoming a real thing. We no longer have to mask all of our phone pics with overbearing Instagram filters to make them look halfway decent, and we can actually start using some traditional photography methods. So to get you started off on the right foot, I'll go over five simple photography tips that now also apply Android, iPhone, Windows Phone, and other types of smartphones. There's a huge difference between optical zoom and digital zoom, and understanding this distinction can greatly improve the quality of your pictures. Optical zoom works like a telescope or a pair of binoculars—a set of lenses with magnifying properties are physically moved towards or away from one another to bring the focus point closer or further. Digital zoom, on the other hand, works like zooming in on an image using your computer, so as you get closer, the underlying pixels become bigger and more noticeable. 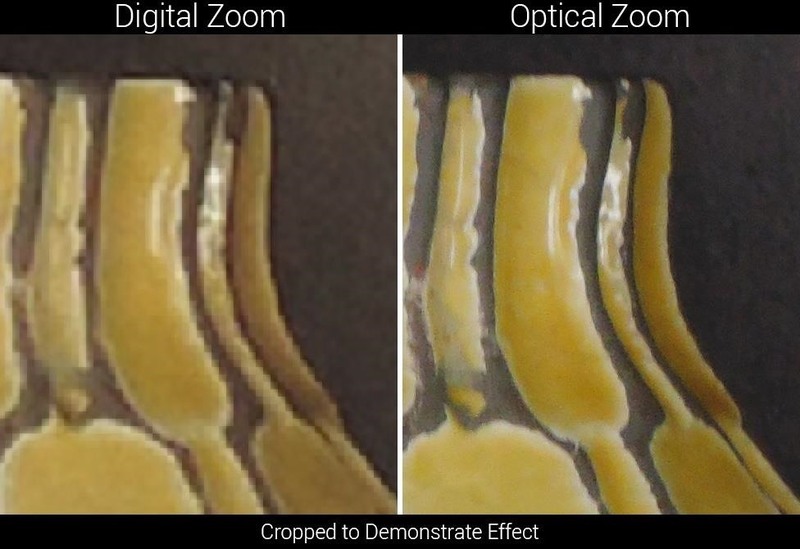 The vast majority of smartphone camera lenses are still not capable of optical zoom, since they have to be compact enough to fit in the back of your phone, which rules out multiple layers of mechanically-operated lenses. This means that any zooming you do with your smartphone camera is of the digital variety (unless you buy an attachable lens for it), which only serves to increase the size of the underlying pixels, making the image pixelated as a result. In lieu of optical zoom, do your best to physically bring your smartphone closer to the subject of your photo. If this isn't possible, simply crop the photo after you take it, which would effectively be the same as digital zoom, except it offers more control. I personally never use the LED flash on my phone, since my general rule is, "If the lighting isn't there, the shot isn't either." But I don't generally take pictures of myself or other people, so it's easy for me to get away with this. There are plenty of times where you might want to capture the moment, but you and your friends are hanging out at a dimly-lit bar. 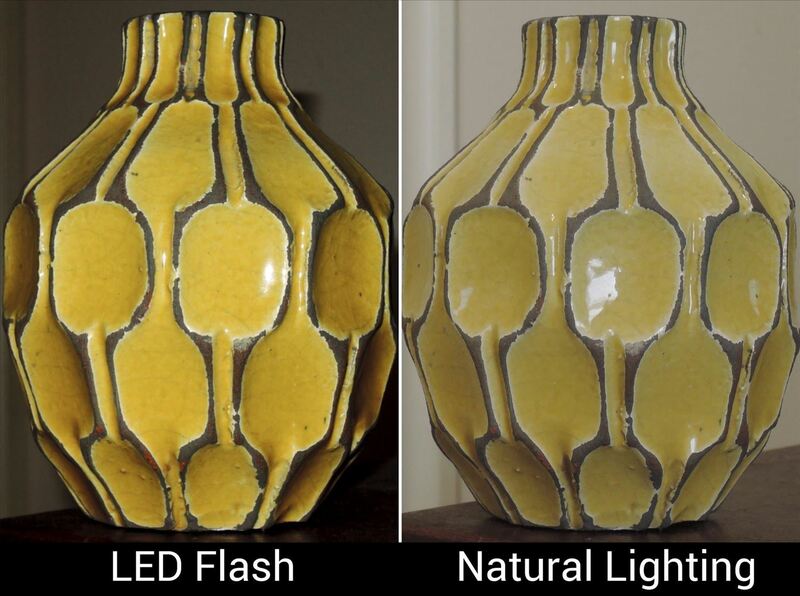 In these cases, using the LED flash is a necessity, but beyond that, it should be avoided like the plague. LED flash will generally put far too much light on the subject, resulting in an over-exposed foreground that lacks detail, with shadows cast on the background of your shot resulting in some portions being under-exposed. It's also a different color than natural lighting, so your subject will often come across over-saturated and in high contrast. On top of all that, no one likes being blinded, so only turn flash on when it's absolutely needed. Chapter 1 in almost every photography book these days will center around once concept—the rule of thirds. Our natural tendency is to center the subject of our photos directly in the middle of the frame, but this generally isn't the most aesthetically pleasing way to frame things up. Imagine your camera's viewfinder (your smartphone's screen) divided up into 9 equal parts, with two equally-spaced horizontal lines and two equally-spaced vertical lines splitting them up. With that in mind, try to center the subject of your shot on the intersection of two of these lines, and do your best to keep the horizon centered directly on one of the horizontal lines. El Capitan centered on intersection of two lines; horizon centered on bottom third. Some smartphone camera apps will have a rule of thirds overlay that places lines like in the above image directly on top of your viewfinder. 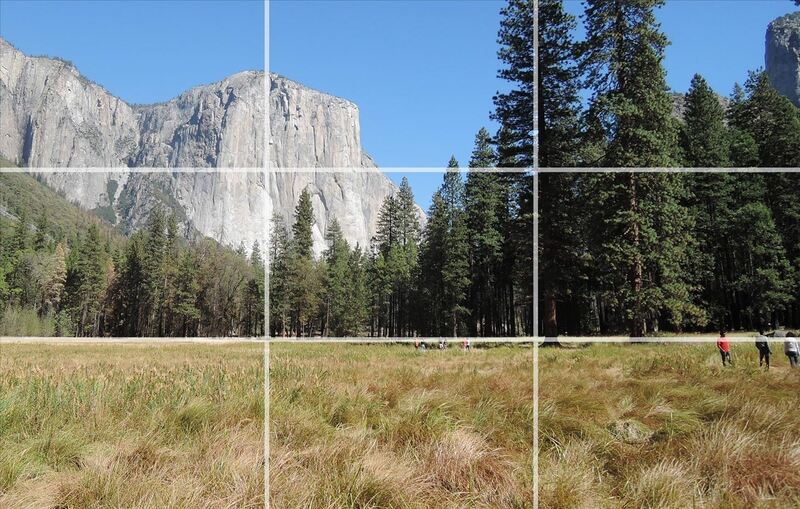 If you're having trouble visualizing the rule of thirds, it might be best to enable this feature until you get a better sense of it all. Most smartphone camera apps these days include an HDR mode, and while some do it strictly through post-processing and others do it by capturing multiple images, the end result is almost always about the same. Since HDR mode does such a good job of capturing images the way we see them with our own eyes, you might think that it would be best just to leave it on at all times. 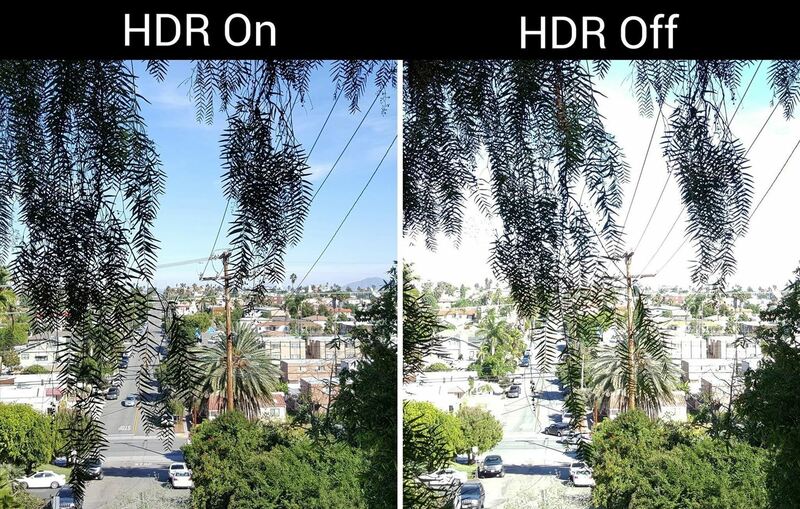 But, due to the fact that HDR takes three pictures of everything, it's generally a bad idea to use it in any shot where the subject is moving, since it can result in some significant blur. Foreground exposure similar in both shots, but background over-exposed without HDR. As a rule of thumb, use HDR mode when the shot you're taking has both areas that are dark and areas that are dim—for instance an indoor picture with an open window somewhere in the frame, or an outdoor picture with a bright blue sky in the background. But when the subject of your photo is moving or if you have trouble holding the camera still, it would be best to leave HDR mode turned off. Now that you've got the basics down, this last tip might actually push you into the category of professional smartphone photographer. Considering that smartphones have seemingly endless storage space for photos, and there's no longer a need to worry about wasting film, don't hesitate to take way too many pictures of the same subject. Try changing angles ever-so-slightly, bending down to one knee, switching HDR mode on and off, and capturing as many different images of the same subject as possible. When you're done, just open your gallery app and flip through the series to find the best photo, then delete all the rest. 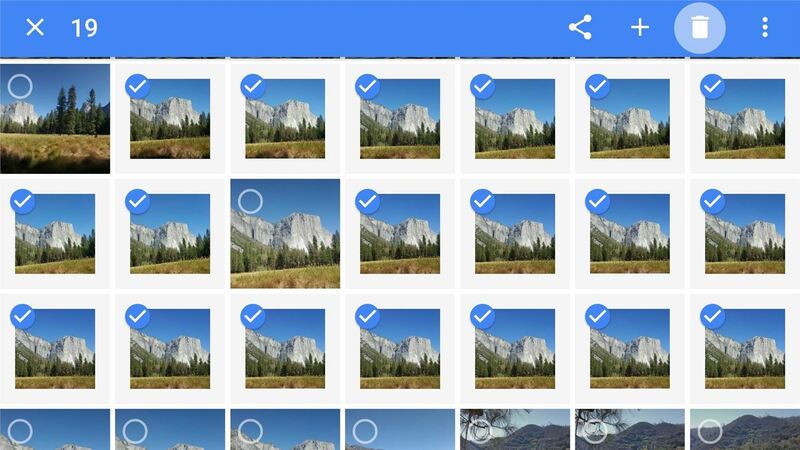 No one will ever know about the botched deleted photos, so you'll come across like a pro with your pre-selected final product. Have you used any of these tips in your smartphone photography just yet? If so, share your photos with us in the comment section below, or drop us a line on Facebook, Google+, or Twitter. That "Rule of Thirds" is going to make my shots even better. Had not heard that before. Thanks! I think that phone in the article looks like an S6 Edge. I wanted that phone until I saw how much the edges made it look small. Saw the S6 Edge+ tonight and was very impressed, what a beautiful phone. Will likely go with Note5 for the stylus, but both have great cameras which obviously help. Thanks for sharing this great article, I have been am amateur photographer myself, but I really didn't know the basic concept of photography. Thanks you so much for this post for enlightening us. 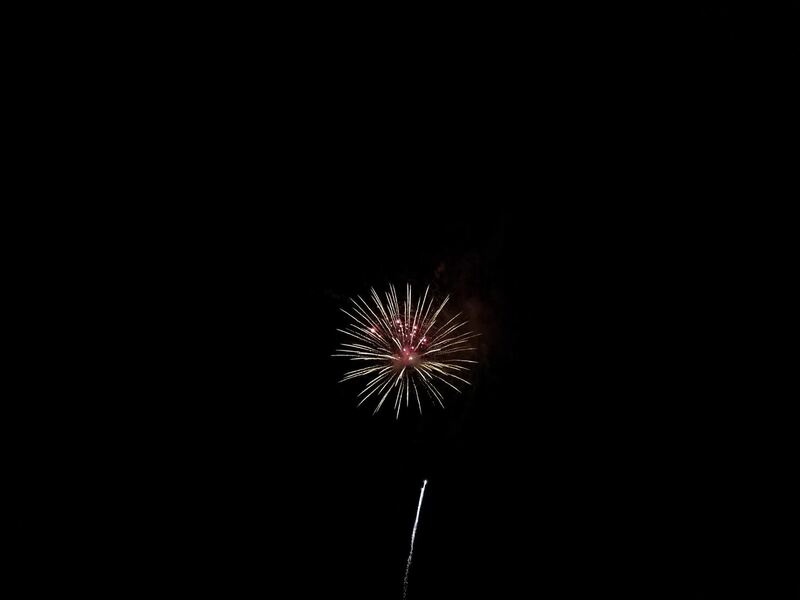 Thanks for sharing used some tips for firework photos for when I had my Galaxy S8+. 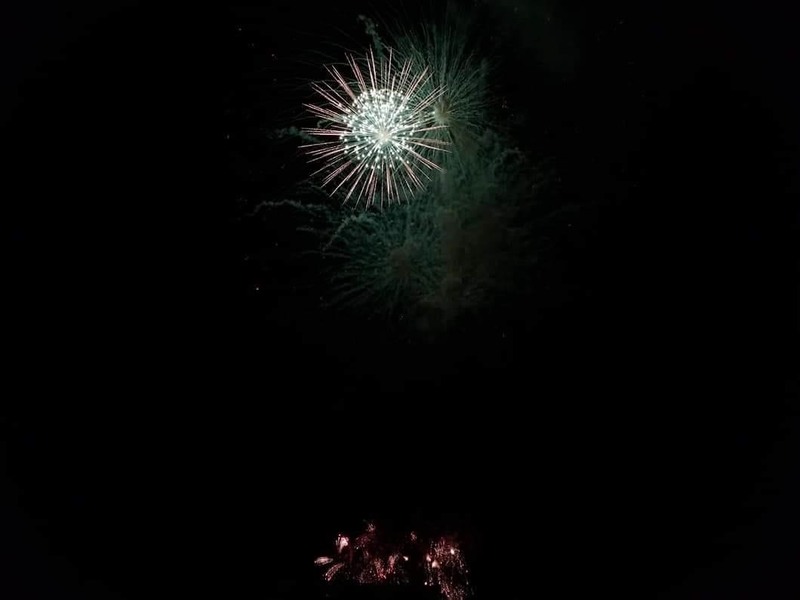 I have the S9+ now but the firework photos were taken when I had the S8+.